OSE 4mm to 3/16" shim/sleeve. If you have a 4mm propeller shaft, but want to have access to the hundreds of 3/16"(.187", 4.75mm) propellers on the market, this item is for you. 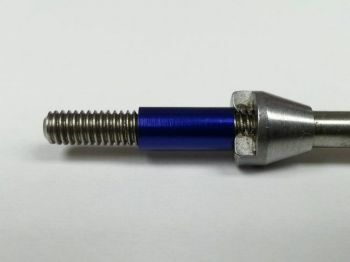 This slides over your existing 4mm prop shaft to act as a shim to adapt 3/16" (.187) props. 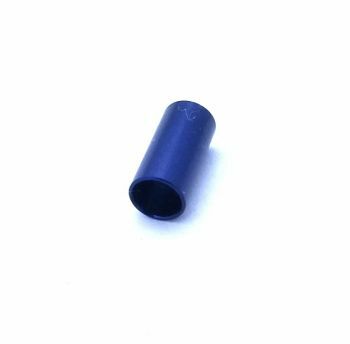 Blue aluminum anodized for corrosion resistance.